Lot 196 C/I Oval Steam Locomotive Worksplate. 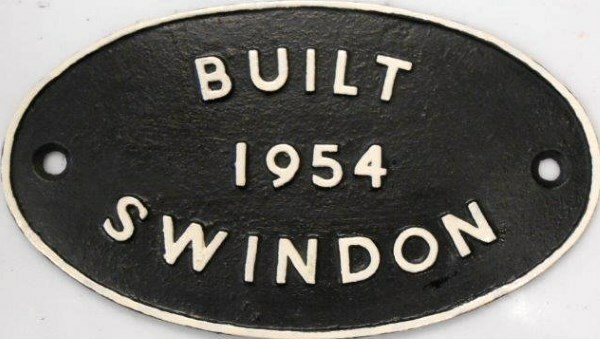 "BUILT 1954 SWINDON". As carried by a Std Class 4 - Ex 75023. Size 10" X 6". Front Restored only.